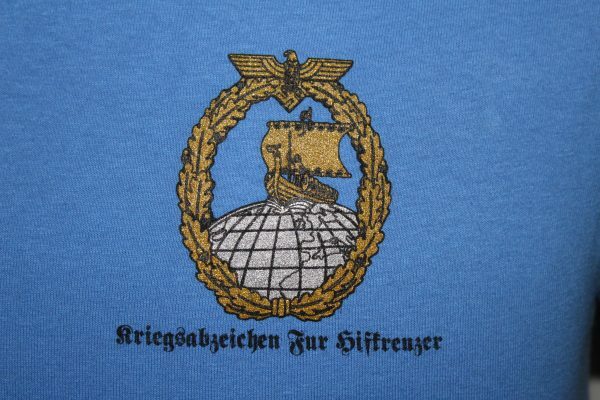 The German Auxiliary Cruiser Commerce Raider War Badge T-Shirt is a two sided print in blue. Front Design: Commerce Raider Badge Screened on left chest in gold and silver colors. Kriegsabzeichen fur Hilfskreuzer (Auxiliary Cruiser War Badge) in black text. 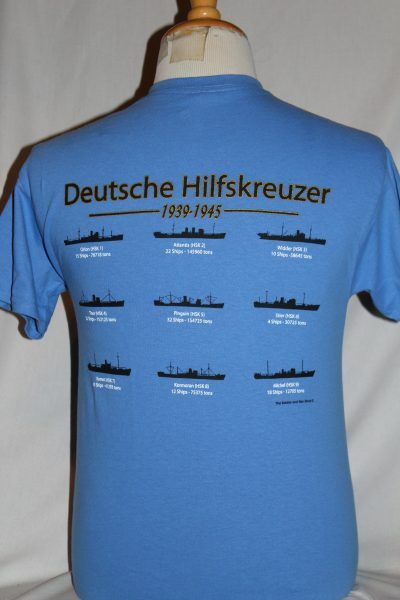 Back Design: Silhouettes of nine auxiliary cruisers in the color black. 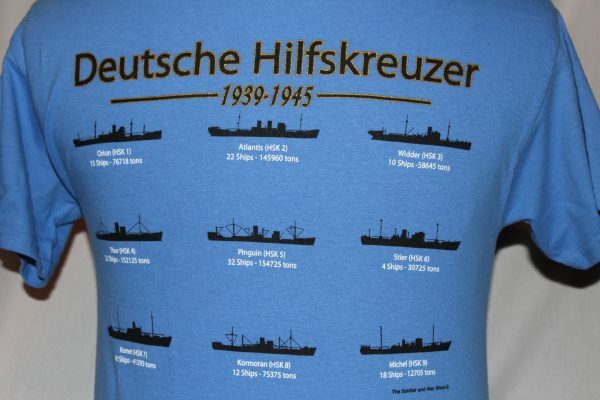 Cruisers name, number of ships sunk, and the tonnage are listed in white. Deutsche Hilfskreuzer text trimmed in gold. 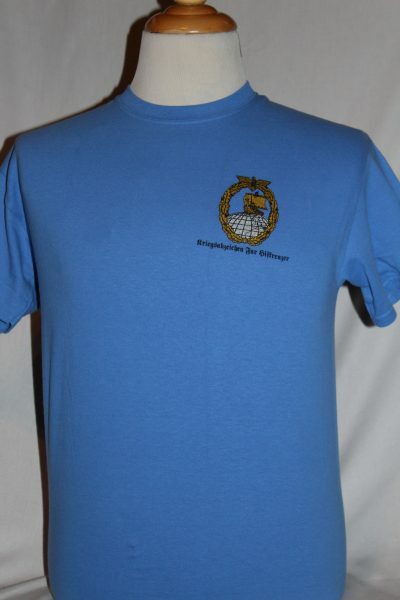 Gildan 100% heavyweight cotton, 6.1 oz., preshrunk t-shirt. This shirt has double-needle stitching throughout; seamless rib at neck; shoulder-to-shoulder tape. This shirt will wear well and retain its original color and decoration after multiple washings. Note, we use the best quality preshrunk shirts available.